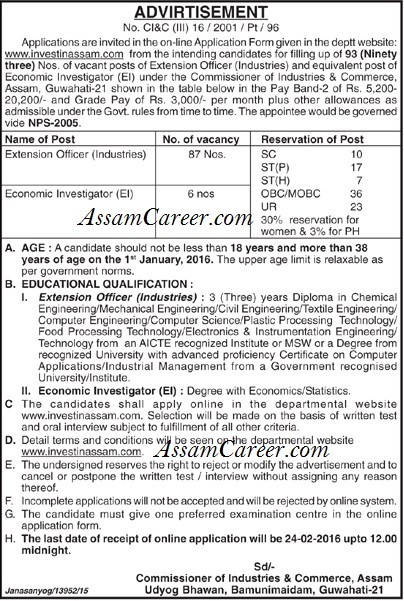 Applications are invited in the on-line application form given in the departmental website from intending candidates for filling up of the following posts under Commissioner of Industries & Commerce, Assam. How to apply: Candidates have to apply on official website www.investinassam.com . The last date of online application is 24-02-2016 upto 12.00 midnight.